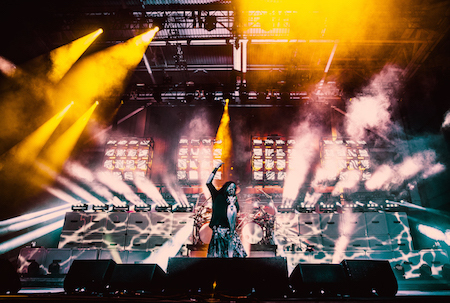 The rock and metal community came out in force for the second annual Chicago Open Air festival, July 14, 15 and 16 at Toyota Park in Bridgeview, IL. 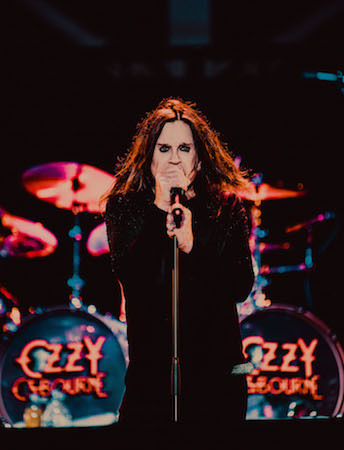 There were 70,000 in attendance for America's Greatest Metal Experience which featured a rare U.S. festival appearance from rock legends KISS, and one of the first performances from Ozzy Osbourne since reuniting with guitarist Zakk Wylde after a decade apart. 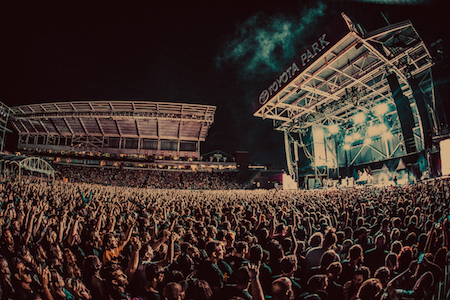 Clay Busch, Vice President of Marketing for Danny Wimmer Presents explains, "After the incredible debut of the Chicago Open Air festival in 2016, we knew we had to come back even bigger and better in 2017. We have our great heavy metal family in the Chicago area to thank for welcoming us back so strongly and showing us there is a community of fans here that enjoys coming together in the spirit of music. We look forward to building on that relationship in the years to come and solidifying Chicago Open Air as America's greatest heavy metal experience." In addition to music, a number of special events, onsite attractions, and festival partners make Chicago Open Air a must-attend destination. The festivities got underway with the Chicago Open Air Kickoff Dinner at Kuma's Corner (2900 W. Belmont) on Thursday. The event was hosted by Jose Mangin from SiriusXM's Liquid Metal and attendees enjoyed Kuma's famous heavy metal-themed burgers, appetizers, and craft beer. Chicago Open Air featured a variety of unique entertainment offerings to go along with its incredible music, food, and beverage lineup, including the Monster Energy Experience (featuring signings with Chicago Open Air artists), Headbangers Bier Hall: Presented by Decibel Magazine (a metal themed dive bar featuring national and regional craft beers and artist inspired beverages), the Jack Daniel's Experience, The Music Experience, Ellefson Coffee House, Caduceus Cellars & Merkin Vineyards Wine Garden, Heavy Tiki Bar, Kuma's Corner, BlackCraft apparel shop, FYE Fan Experience (hosting signings and pop-up performances with artists from participating record labels Roadrunner, Century Media / Another Century, Nuclear Blast / SharpTone Records, Spinefarm and Razor & Tie), Fxck Cancer and the Dyin 2 Live Dreams program, and the Take Me Home animal rights advocacy foundation. 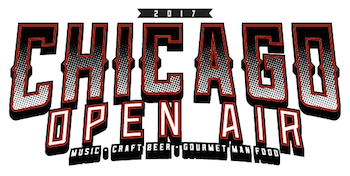 Chicago Open Air sponsors include: Monster Energy, Jack Daniel's, FYE, Revolution Brewing, BlackCraft Clothing, Ellefson Coffee, Dyin 2 Live / Fxck Cancer, Take Me Home Animal Rescue, The Music Experience, Razor & Tie, Nuclear Blast, Sharptone, Spinefarm, Roadrunner Records, and Century Media Records. Since 1993, music industry veteran Danny Wimmer has been producing concerts and festivals, both large and small. 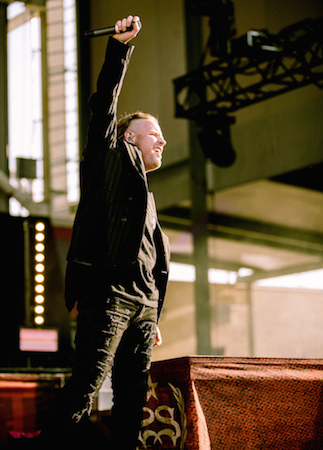 In 2011, he formed Danny Wimmer Presents, which now produces several of the largest rock and alternative festivals in the U.S. By combining A-list talent with local cuisine and culture, DWP has become recognized within the industry for delivering the highest-quality entertainment experiences to fans, artists, sponsors, partners and host cities. DWP creates memorable and all-encompassing festival experiences, leaving both consumers and partners with lasting and meaningful impressions. 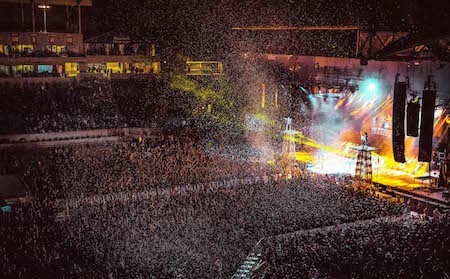 With 580,000 fans attending all DWP festivals in 2015, and 10 billion media impressions, DWP will continue to add new music festivals to its already stellar portfolio, which includes Rock On The Range, Monster Energy Aftershock Festival, Monster Energy Welcome To Rockville, Monster Energy Carolina Rebellion, Louder Than Life, Bourbon & Beyond, and Monster Energy Rock Allegiance, among others. Toyota Park is located at 7000 South Harlem Avenue in Bridgeview, IL. It's the heart of soccer for much of the Midwest and a must-see destination for world-class concerts and other sporting events. Toyota Park is conveniently located in Bridgeview near I-294 and-I-55, within an easy drive from every corner of the Chicago area. Just 15 miles from Chicago's Loop, Toyota Park offers ample parking and is served by PACE buses and shuttle links with the nearby CTA Midway Orange Line station.